Here are the 7 beers that are among the most commonly consumed that you should maybe reconsider before supping. Many of us choose what we eat very carefully, or at least dedicate our minimum attention to it. But when it comes to drinks, especially alcoholic beverages, we do little to make the best decisions for our health, which is a HUGE mistake. All the work for your body can be ruined in a weekend out. While foods and non alcoholic beverages are required to list their ingredients and are monitored by the FDA, beer does not belong in either. Alcohol industry had lobbied for years to avoid labeling its ingredients. Some to protect its recipes, but most – to hide harmful ingredients. Of course, each beer is unique, so take a look at the following list to see if any of your favorites are one of the top worst beers to consume. 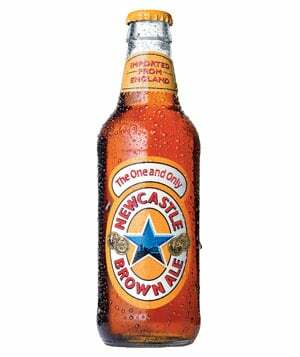 As the bottle tells us, Newcastle Brown Ale is imported from England, and it has a rich, alluring color to it. However, this color is a sign of the horrible ingredients that have been put into the beer. This beer has been found to have caramel coloring in it. Class 3 and 4 caramel coloring, which is made from ammonia, is a carcinogen—or in other words, something that can cause cancer or foster cancerous cells. 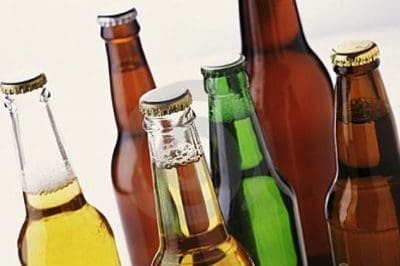 Since alcohol is a carcinogen in and of itself, adding more to the mix is not a good idea, especially if you’re one to indulge in multiple brews over the course of an afternoon. This one will hurt for a lot of people, as Corona has become the popular choice for a light cerveza in the summer months. 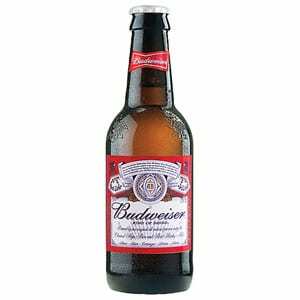 The ubiquitous commercials for this beer also have a quality of not being annoying or cloying, a rarity in today’s television-advertisement landscape. Unfortunately, Corona Extra is made with GMO corn syrup and Propylene Glycol, the former of which being derived from GMO corn. Propylene Glycol, though, is an ingredient that has stirred controversy amongst health professionals, and it is a common ingredient found in anti-freeze. Again, abstaining from Corona is the consumer’s choice, but the revelation of Corona’s potentially harmful ingredients probably makes those commercials look more insidious than relaxing. 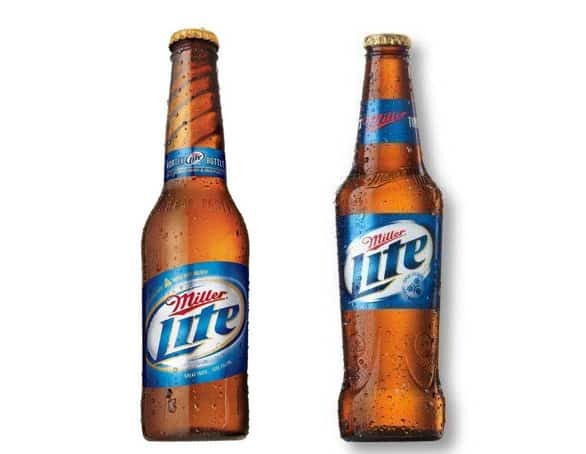 Miller Lite capitalizes off the surprising success of its slogan: “It’s Miller time!” Miller Lite, however, contains both GMO corn and corn syrup. Given the surprising preponderance of these ingredients in the foods North Americans have come to take for granted, adding more of these insidious GMOs to your diet might be ill-advised. Moreover, it is easy to drink a lot of Miller Lite, since it’s a light, refreshing beer, and it doesn’t contain relatively high levels of alcohol. The harmfulness of the ingredients compounded with the easiness with which the beer goes down makes this one brew that consumers need to keep their eye on. It is unclear whether or not these ingredients have made their way to Miller’s other beloved brew, Miller Genuine Draft. 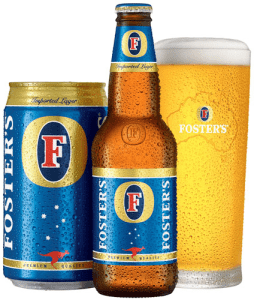 The calories in Foster’s is 145 and there are 11 grams of carbohydrates in this beer with a low level of alcohol. Here’s some more motivation to drink in moderation: Binge drinking after you lift weights may inhibit your ability to build muscle, according to a report in Strength and Conditioning Journal. Researchers say that guzzling the alcohol equivalent of five or more drinks appears to suppress the production of testosterone, a hormone that’s crucial for muscle growth. Smaller doses (one to two drinks) appear to have little or no immediate effect on testosterone. Of course, the best beverage to consume after exercise is one that contains a healthy dose of protein. 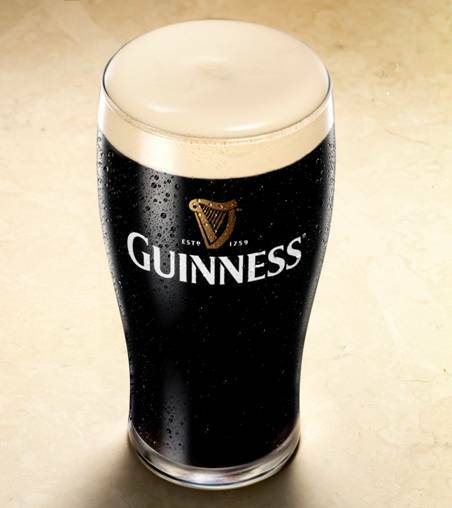 Guiness is everyone’s favorite stout beer, and has long been praised for its smoothness as a stout. Many drinkers swear by Guinness and won’t touch a drop of anything else. Guiness might not be the healthiest choice, though, for reasons you may not suspect. Apparently, Guinness contains isinglass, an ingredient derived from fish bladders. So, next time you take a sip of the richly dark brew, think about whether or not it pairs well with, well, fish. Coors Light is yet another super-popular brew in North America, given its skillful marketing and smoothness as a light beer. Indeed, the company’s marketing strategy, predicated on the glaciers that turn certain colours based on the coldness of the beer, is genius, and it empowers consumers, who like to feel they are drinking the coldest, freshest beer. 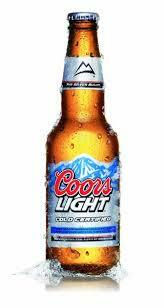 Unfortunately for drinkers of Coors Light, this is also another beer that uses GMO corn syrup as a sweetener. Given that the beer is so easy to drink, and easy to drink in volume, consumers should be wary of this beer’s potentially harmful ingredients. If you have any additional information about GMO or non-gmo beers, or want to correct some of the information, simply e-mail us or leave a comment with evidence below. This entry was posted in Booze, Health Stuff, Home, Mens health. Bookmark the permalink.